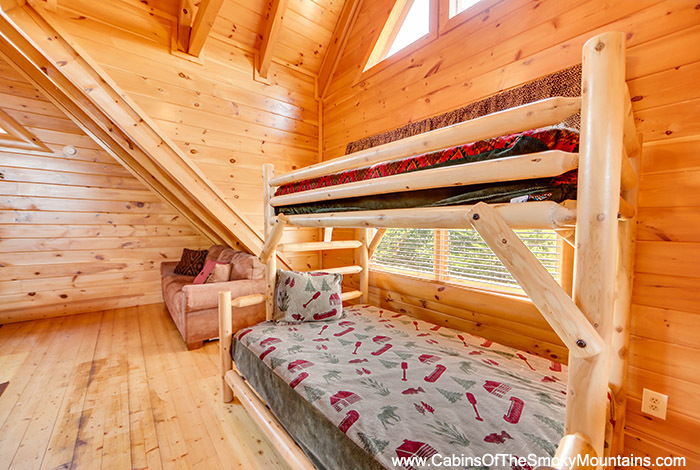 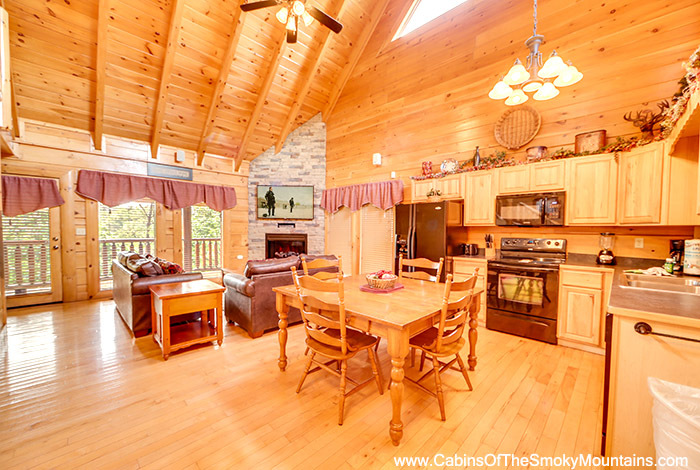 Are you looking for the perfect luxury cabin for fun and relaxation with friends or family? 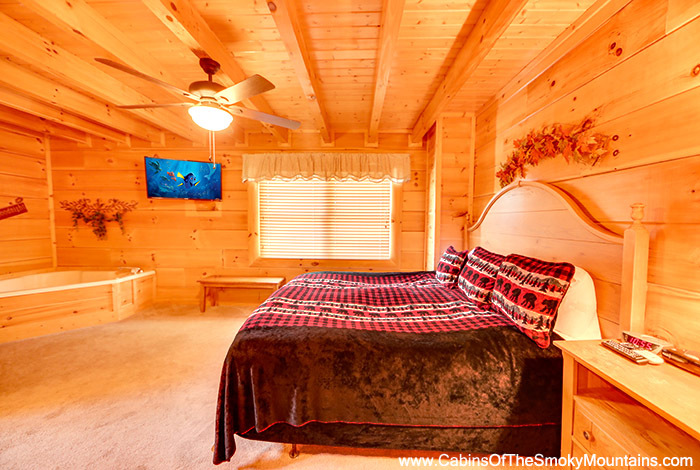 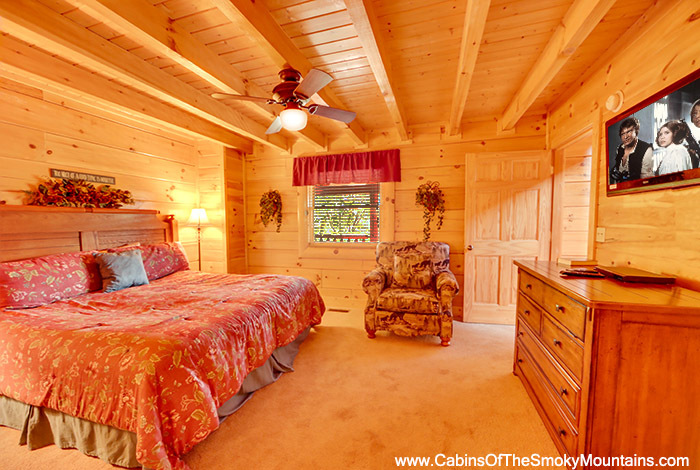 Boasting beautiful views, tons of amenities, and cozy interiors, this two bedroom, two bathroom Pigeon Forge cabin is the perfect fit! 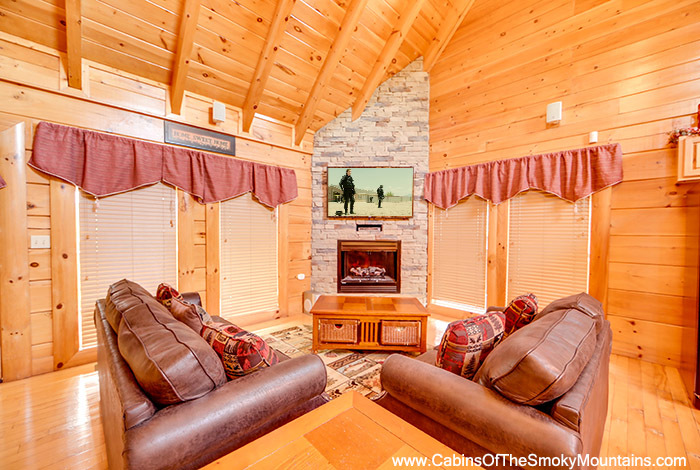 On the main level two comfy couches flank a stone electric fireplace and a TV with VCR and DVD player. 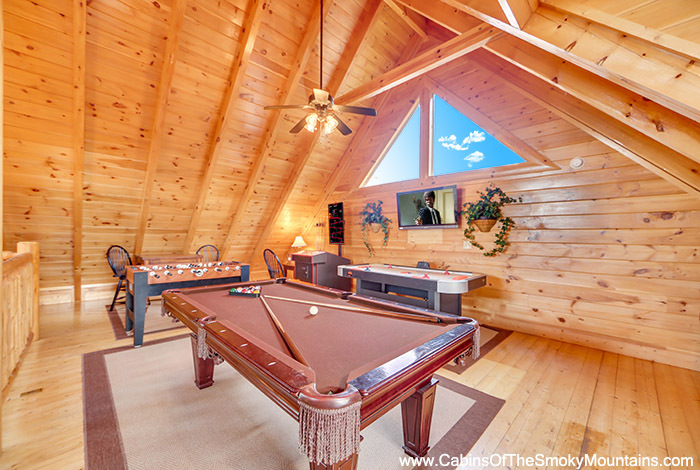 This is also a great room to enjoy the beautiful views, as large windows all around let in lots of natural light and mountain vistas. 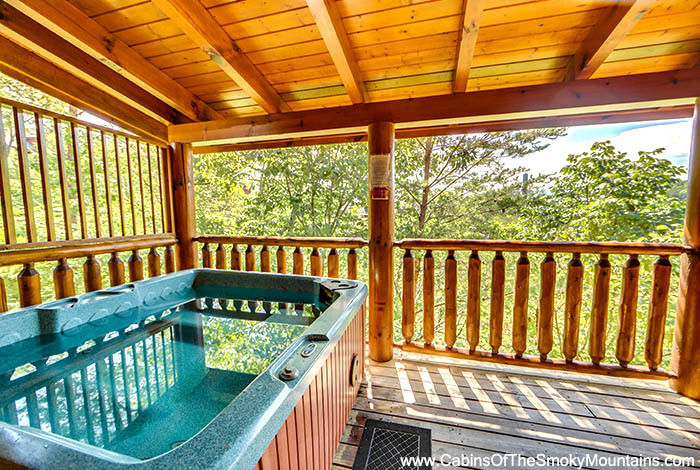 In the master suite, you can enjoy a soak in your private jetted tub, tucked in a quiet corner of the room, or take advantage of getting ready in your private bath. 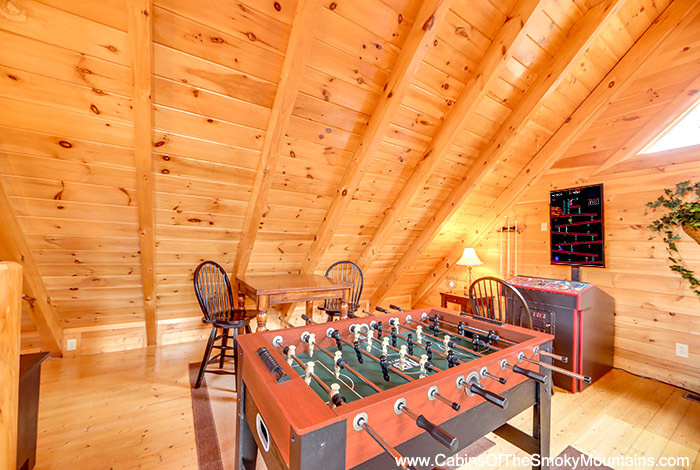 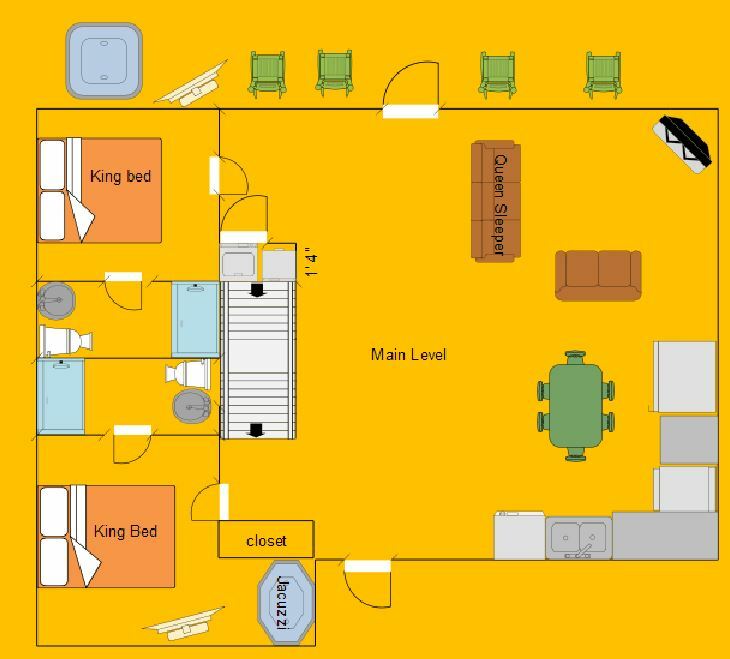 In the loft, a game area is sure to please adults and kids of all ages with a pool table, foosball table, air hockey table, a stereo with CD changer, and a queen sleeper sofa. 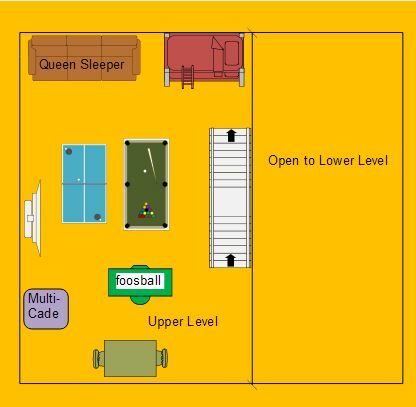 This is a great space to spend the day relaxing and enjoying everyone's company while having some friendly competition! 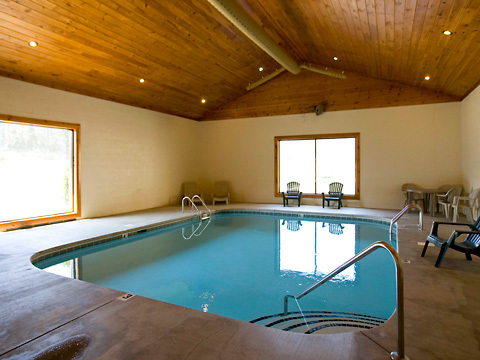 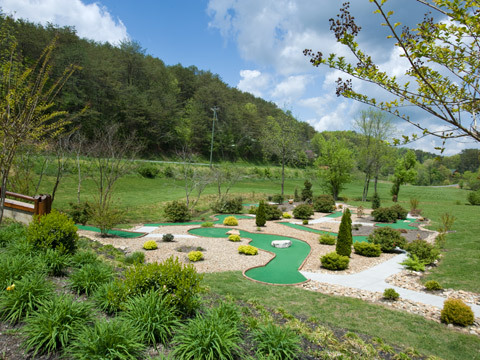 Enjoy resort access to both indoor and outdoor swimming pools and a miniature golf course! 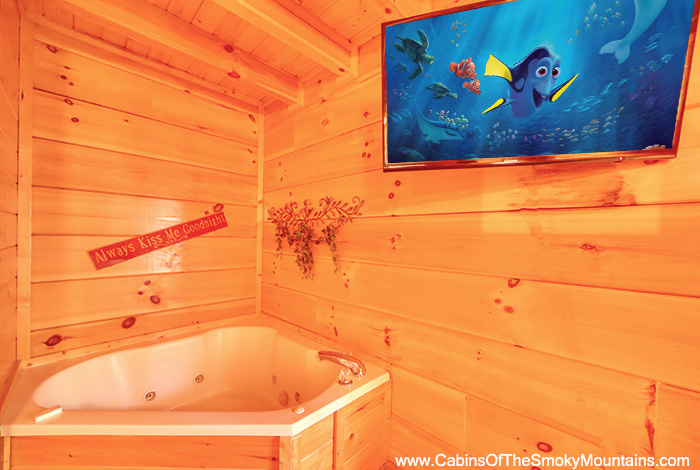 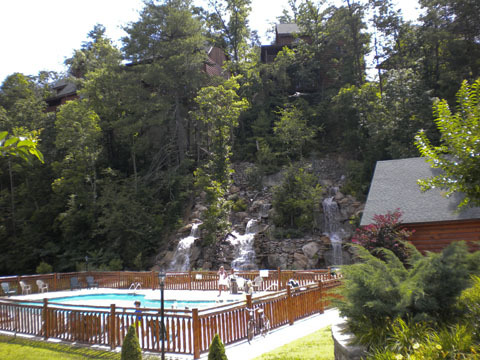 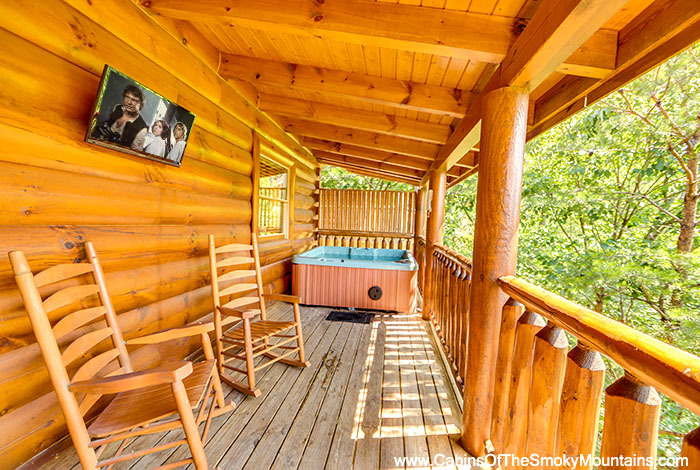 Relax in the rocking chairs and take in the view, cook up some steaks or burgers on the grill, or unwind after a long day with a soak in the hot tub.Whether you're looking for a fun-filled escape with family or a relaxing retreat with friends, A Wolf’s Den is an ideal Smoky Mountain cabin!